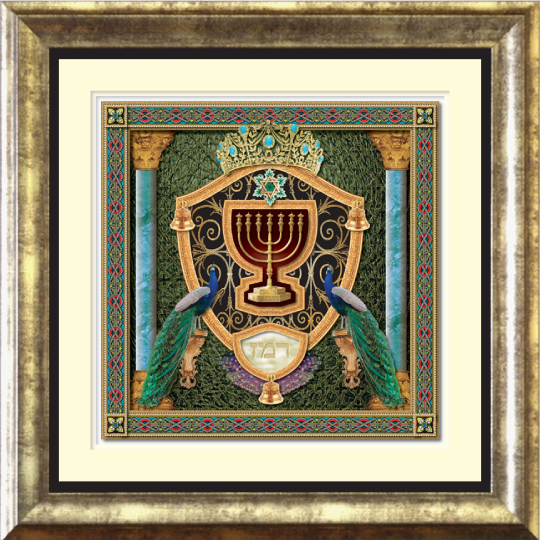 Torah Levels Series :: "Remez - The Hinted Meaning"
The Torah is divided into 4 levels of learning. The second level, Remez, is where the hinted or allegorical meanings are presented. 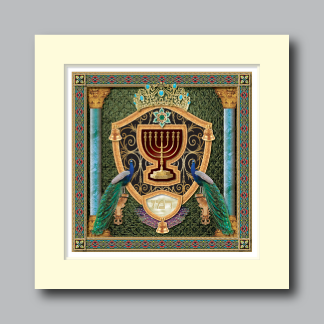 The “Remez” design features an image of the the 7 branched menorah that stood in the Holy Temple. 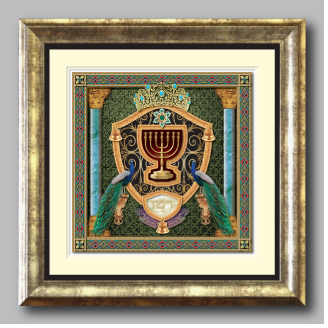 Flanking the menorah, are vibrant peacocks, that seem to guard and protect the sacred words of Torah. A beautiful crown also appears, reminding us of the treasure that we have been given by Gd.